Mimi Place is located at plot 5046, All Seasons Avenue, Beside All Seasons Hotel, Area E, Southern Centre Tangent, Arterial Highway,Owerri, Imo State. I was in the East for the first time few days ago for a wedding when I discovered this very Bubbling Spot. 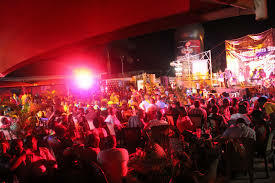 It's a Spot for those who love Night Life!. You could decide to chill at the Lounge, Restaurant, play some games and if you love to have a good laugh(comedy, all sorts of dance, singing competition,etc), "Nna mehn"... just sit out in the open space!. They have every kind of Nigerian food and drinks you may wish to have in Mimi Place and the Waiters are very organised/well dressed so you won't find it difficult to identify whoever served your table. This Spot is definitely not an environment for Touts because everyone gets screened and searched from the entrance. 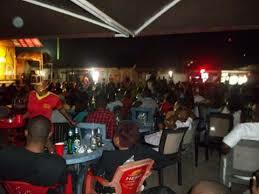 If you ever get to visit Owerri and don't know where to hang out with friends, this is a place to visit. Meanwhile, if you have anywhere nice you've ever visited and would like to share with us on this blog, kindly forward it to dewoyinesther@gmail.com for onward publishing.